The Hof van Busleyden (Court of Busleyden) was built at the beginning of the sixteenth century for Hiëronymus van Busleyden, ecclesiastical jurist and member of the Great Council, the highest court of law in the Netherlands at the time. He was also a Maecenas and humanist and a friend of Erasmus and Thomas More. The building was designed by Rombout II Keldermans, who hailed from a distinguished family of master builders. 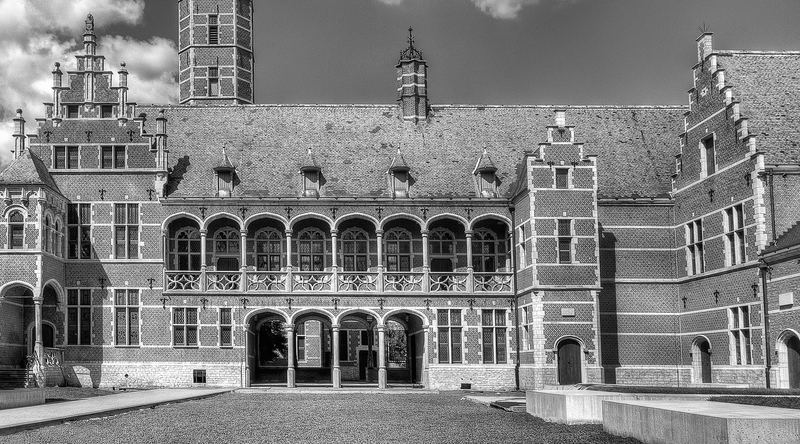 Between 1619 and the First World War the building served as the ‘Berg van Barmhartigheid’ or ‘Mount Charity’, which lent money interest-free to the poor. Most of the building was destroyed during the war, leaving only the walls standing. It was rebuilt and in 1938 it became the municipal museum. The space has been extended with an underground exhibition area and Contour is the first to use it since completion. The historical part of the building is also undergoing renovation.